Digital Cinema pioneer Barco announced today that Main Street Theatres has selected Barco for their showcase auditorium at the Promenade Cinema complex in Sioux City, Iowa. The project is the first for the Omaha-based exhibitor, who owns and operates 37 screens at six locations throughout Iowa and Nebraska. In conjunction with Barco, the purchase was arranged through Roger Bockert of Heartland Theatre Services, the company who also installed the digital cinema systems. This installation of the latest Barco and Dolby digital cinema technology will provide Northwest Iowa with the premier venue for Digital 3D entertainment. For the installation, a Barco DP-2000 projector was installed in Promenade Cinema's largest auditorium, featuring a 45' wide screen - just in time for the 3D release of Disney's "Jonas Brothers 3D Concert Experience." With the DP-2000, the Promenade Cinema will be able to show both 2D and 3D films, and will also be able to offer the region's most unique digital theatre rental package for business, conferences and special events. "For our customers, the wait has truly been worth it," said Bill Barstow, owner of Main Street Theatres. 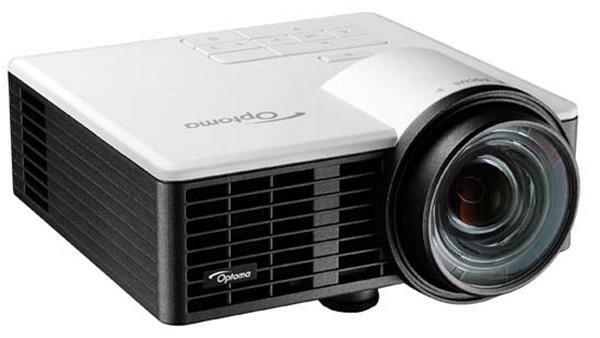 "The DP-2000 features DLP technology, which offers flawless and pristine pictures, and coupled with Dolby 3D, every seat in the house can enjoy a great 3D experience. We're the market leader in this region, and we went with Barco for two key reasons - the quality of the brand, and the quality of the people." "Main Street Theatres has been poised to jump into the digital marketplace, and we're very pleased to see Barco is their projector of choice," explained Terri Westhafer, Barco's Director of Business Development for Digital Cinema. "I've always found Bill Barstow to be both an astute businessman and a theatre owner who's very interested in maintaining a competitive edge in the marketplace. With the DP-2000, he'll be providing his customers with exceptional entertainment experience, and we're proud to be his partner in this exciting digital introduction."